2014 Bibliography: A Judiciary And Electoral Statement To Read Before The End Of 2013 For A Warning About Justice And Democracy. The year of The French Cop. Vince Sauvan is my name in the Film. FV PS: a first short film is upcoming as a prequel, BRAMSTOCKER: Legal Gang. Mike Fuller is my nickname in America and in France for Political Science and for the publishing of my art on the web and on the screen, books and newsletters like my EVIDENCE. Frederic Vidal is my Legal Name and my director, producer name for movies and politics when it’s time for elections. Le Lexique d’une Doctrine Vidalisme : de la Politique à la Science Fiction. Le tàijí tú : symbole de la dualité yīn-yáng. This is the Yin-yang symbol or Taijitu (太極圖), with black representing yin and white representing yang. 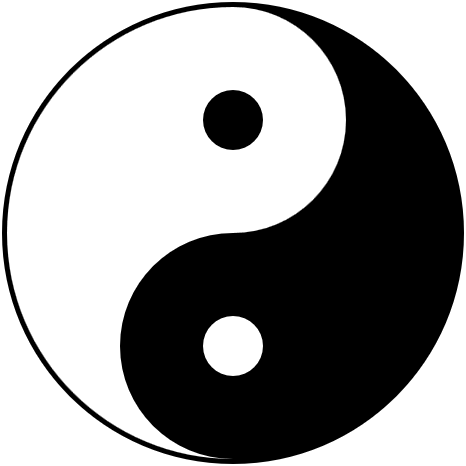 It is a symbol that reflects the inescapably intertwined duality of all things in nature, a common theme in Taoism. No quality is independent of its opposite, nor so pure that it does not contain its opposite in a diminished form: these concepts are depicted by the vague division between black and white, the flowing boundary between the two, and the smaller circles within the large regions. Author Gregory Maxwell. Les notions-clés de mon discours Internet sont les suivantes. Je les publie pour la fin de l’année 2013 afin de faire avancer la science et la justice alors que je prévois la publication traditionnelle de mes écrits en 2014. Galaxie McLuhan™ : l’ère de l’Intervision nous conduit à l’impasse. L’Internet n’a pas réuni l’ensemble des populations qui pouvaient en bénéficier à temps pour constituer le nouveau média dominant. De la sorte, il nous appartient de contribuer à la compréhension du réel informatique qui concurrence maintenant les anciennes galaxies Gutenberg et surtout Marconi. Voir aussi Intervision™. La présentation de chaque mot de ce lexique est en cours. Annexe : FILMOTHEQUE. Liste de mes films en développement. – PLAINTE CONTRE X™, titre alternatif de MICHEL DEBRE™ et BLACKOUT™. The Inter-Letters™ #42 (issues # 61). 08/14/2012 (Tuesday). No Inter-Letters™ on Mondays. Today, The Complete List (Issue Index) Of All The Information Letters (Webletters, Webgrams), I have published Since The Start Of This Collection (June 1st) Of A New Genre About WEB PUBLISHING And Press Journalism! It Is Also A Blog Matter For You And Mike Fuller. The Inter-Letters™ #42 (issues # 61). 08/14/2012 (Tuesday). No Inter-Letters™ on Mondays. Today, The Complete List (Issue Index) Of All The Information Letters (Webletters, Webgrams) I have published Since The Start Of This Collection (June 1st) Of A New Genre About WEB PUBLISHING And Press Journalism! It Is Also A Blog Matter For You And Mike Fuller. Sous l’égide de Mike Fuller. ): BREAKTHROUGH™ #42: Contract with America. We need a Contract with America. Previously in the 1990’s, the GOP signed this type of document with the Americans and got the White House in 2000 but first the Congress to vote the laws that were necessary. This time, we got the Congress in 2010. Two years later, the Presidency is welcoming us already even if the President does not agree with this idea. So, let’s sign the contract with him. MR. OBAMA IS INVITED IN TAMPA BAY FOR THE REPUBLICAN CONVENTION in order to negotiate with us, the New Republicans, our Plan to Qualify the USA for the Business Competition that is a worldwide challenge to program as a priority. ): BLOCKBUSTER™ #42: Republican Revolution. The Revolution is not yet done. It began also in the last decade of the XXth century when Bill Clinton did not finish his second mandate properly, victim of the Monica Lewinsky scandal and a possible impeachment. The Republican Revolution is about ideology and government, we are conservative and we want to express our convictions in the mass medias, not like we did for the primary that was a race about personalities and not propositions. PROPOSITIONS, CLEAR, SIMPLE, HUGE like Ronald Reagan (who was before 1962 a Democrat) found to seduce America. The objective is to get the right pressure in the opinion with MEASURES TO VOTE TO FOLLOW President’s WILL. The President is a William F. Buckley, Jr propagator. ): BRAMSTOCKER™ #42: The Heritage Foundation. Visit the website of the Heritage Foundation. This is a famous address where you can find what BRAMSTOCKER™ thinks and what its community does: Conservatism valuable for Republicans and also Democrats. This is a PHILOSOPHY, a “political and social philosophy that promotes retaining traditional institutions and supports, at most, minimal and gradual change in society.” (Wikipedia). The band is the real leader regarding the new era in progress ABOUT THE COMEBACK OF THE 1950’S WITH THE VISION OF THE XXIst Century: ANTICIPATION. ): FRENCH POST ™ #42: Conservatism in the United States. Liberalism and conservatism are together in the manifesto to write and sign by Mike Fuller. Liberty, equality, solidarity, this is the hendiatris (“figure of speech used for emphasis, in which three words are used to express one idea“) to repeat and repeat again to oblige the social system to offer more opportunities to the citizens and the residents to work, build a house, raise children, refuse autoritarism, enjoy a great life in the US. This is not what is prepared by our parents, mayors have the duty to rationalize the conditions of the economy that is not a perfect justice between men and institutions. ): THE NOISE (LE BRUIT)™ #42: J’écris à la Vie Chrétienne. Monsieur le Rédacteur-en-Chef, je vous prie de bien vouloir mener à bien une enquête concernant la composition du Gouvernement de Jean-Marc Ayrault qui me semble constitué en Holding Financière avec la presse. Ce mode de garantie présidentielle sur la est connu et remonte aux pires heures de la IIIe République sans que celle-ci puisse réaliser ce type de détournement des institutions du sommet de l’Etat. Un gouvernement commercial, tel est le sujet de dissertation que les étudiants en science politique doivent méditer afin de condamner l’utilisation par un seul de sa renommée de candidat pour investir dans un recrutement ministériel de personnalités dévouées et redevables de leur nomination auprès de lui, François Hollande. Je reste votre dévoué, Frédéric Vidal. THE SUMMARY OF AUGUST FOR TIMEFRAMES™ NEWSLETTERS. The Inter-Letters™ #34 (issues #53), 08/2/2012 (Thursday). A Treasure Is A Public State, Is A Land Of Nature And City. Humans Walk To It And Live All Around The Borders That Separate Our States (50) From The Others. In France, This Is The Desert Of The Summer In Paris (Out Of Town Mode)! The Inter-Letters™ #35, (issues #54), 08/3/2012 (Friday). My Fictional Presidential Candidacy Name Is Mike Fuller With A Strategy Pro-Mitt Romney For The Reality But What About Mike’s Fictional Program? Could Be In Reality Or Semi-Fictional! The Inter-Letters™ #36, (issue #55) 08/4 – 5/2012 (Saturday – Sunday). My Coverage of Mitt Romney’s Campaign Is Now On Location And A Day-By-Day Report Of Mike Fuller’s Comments Is The Definitive Event Of The Pre-Tampa Bay Dispute With Barack Obama! The Inter-Letters™ #37, (issues #56) 08/07/2012 (Tuesday). Romney-Fuller, Not A Love Story, A Fiction Work To Include In Reality In Order To Change The Deal: Obama Won’t Stay President With These 2 Men (And A Woman: The Statue Of Liberty). Mitt And Mike, Not A Ticket, A Duet! The Inter-Letters™ #38 (issues #57). 08/08/2012 (Wednesday). PLANET(E), The Mike Fuller’s Impressive Novelism Masterpiece For The Television, Used By Frederic Vidal To Explain The Human Being Destiny on Earth And After Earth, Is An Impressive Fiction Included In The Republican Culture For Romney’s Career At The White House To Prepare Together Webwide And Worldwide! The Inter-Letters™ #39 (issues #58). 08/09/2012 (Thursday). The Deadline Is Over. The Elysian War Begins (Without Guns But Press Communiques)! The Elysian Fields Are Ready For François Hollande To Resign! The Inter-Letters™ #40 (issues # 59). 08/10/2012 (Friday). My Tampa 2012 Speech For The Americans. The Inter-Letters™ #41 (issues # 60). 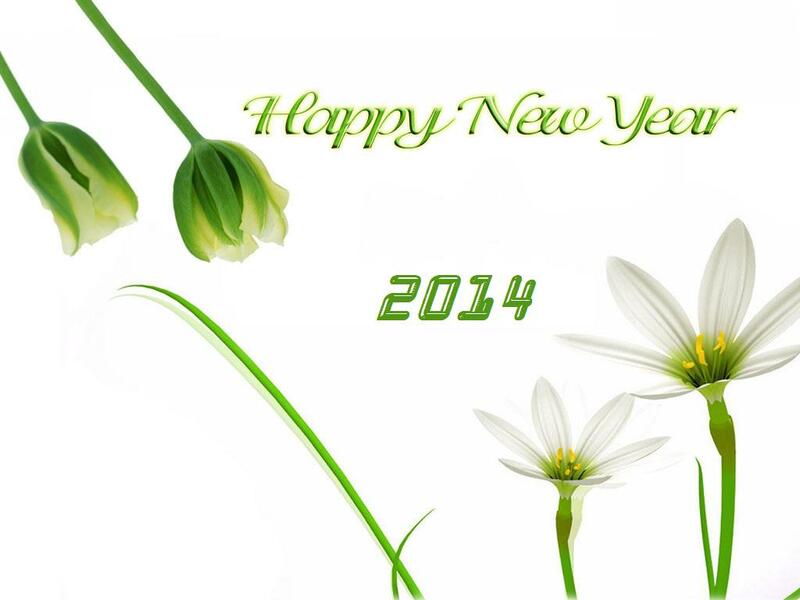 08/11 – 12/2012 (Saturday – Sunday). My Book Site Is A Documentation Center And A Presentation Of My Career In Progress! My Legal Name Is The Author Of It, My Fictitious Name is The Sponsor Of It. The Inter-Letters™ #43 (issues # 62). 08/15/2012 (Wednesday). MID-AUGUST. The Turning Point Of The Corporate Letter For Our 6 Newsletters And The Compilation I.L. That Is Now Diffused To The Planet By A New System Of Solidarity Mail For Nonprofits! Vidal Builds Fuller Masterpiece For The Net In An Ambitious Strategy Of News Distribution And An Updated Style of Texts. The Inter-Letters™ #44 (issues # 63). 08/16/2012 (Thursday). VOLUME II And Numbering Reset, tomorrow. This Is A Celebration Day To Remember As Our 7 Newsletters Are Closer To The Press And The Mass Medias with A Teamwork Leaded By Mike Fuller. Frederic Vidal Leaves The Publication Because A Promotion And Mike Fuller Is, From Now, The Only Editor-In-Chief! The Inter-Letters™ #3, Volume II, 08/21/2012 (Tuesday). BREAKTHROUGH™, The Newletter Of The Future Living Today. This Issue Tells You Why? The Inter-Letters™ #4, Volume II, 08/22/2012 (Wednesday). BLOCKBUSTER™, The Newletter Of The Diversification On Time As Culture Is Art And Business. This Issue Tells You Why? The Inter-Letters™ #5, Volume II, 08/23/2012 (Thursday). BRAMSTOCKER™, The Newletter Of The Rock Generations, 7 Decades Including 1977 as A Popular Wave In Progress. This Issue Tells You Why? The Inter-Letters™ #7, Volume II, 08/25-26/2012 (Saturday-Sunday). LE BRUIT™, The Noise™ Is Loud And Emitting From France Lot Of Government Appreciations. Le Bruit Est Fort Et Il Emet De La France Beaucoup D’Appréciations Gouvernementales. This Issue Tells You Why? The Inter-Letters™ #8, Volume II, 08/28/2012 (Tuesday). Alert! Republicans Days, From Yesterday To Thursday. This Will Be An Happy Friday Until November. The TAMPA CONVENTION Concepts GOP. The Inter-Letters™ #9, Volume II, 08/29/2012 (Wednesday). The TAMPA CONVENTION Concepts GOP. Third Day Of Debates And Proactive Meetings To Imagine Fundamentally The White House Access In January. The Inter-Letters™ #11, Volume II, 08/31/2012 (Friday). Tomorrow is September, I Schedule A Novel About My Apartment: 10, Avenue Notre-Dame (Nice, France). The Zip Code Doest Not Matter, I Use Google Maps Only. This Inter-Letters™ is dedicated to: Barry Goldwater. 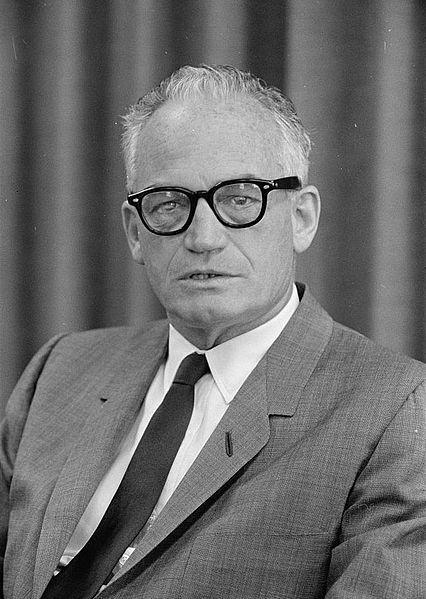 Barry Goldwater, 25 September 1962, Trikosko, Marion S., photographer. Today’s Video by Youtube: Reagan Was Once A Democrat. Ronald Reagan Speech – 1964 Republican National Convention.